My most recent posts are going to be about cold cases that not the police, but America has forgotten. I want to remind anyone about cases that have gone unsolved for decades, maybe someone now might remember something or has any kind of lead to solving this crimes. We as one nation need to come together and help investigators solve this horrifying crimes and bring justice to the innocent lives taken away. 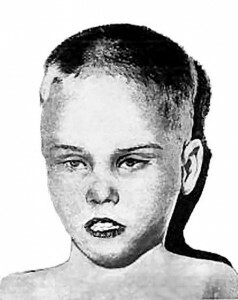 Summary: On February 25, 1957 and unidentified body of a boy approximately 4 to 6 years old was found naked and battered in cardboard box in Philadelphia, Pennsylvania. The boy was described as having blue eyes, fair complexion and medium to light brown, crudely cut hair. His nails were noted as being neatly trimmed. He had deep bruises covering much of the his body and face and experts speculate that due to the cold weather, the child may have been lying in that box between 2-3 days to 2 to 3 weeks. 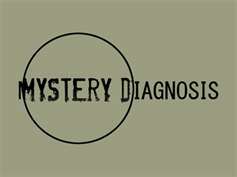 I spend my days working and after that I spend my days watching the Investigation Discovery Channel. Yesterday particularly, I saw an episode on Disappeared about a young woman named Colleen Wood. As you might already know I am fascinated with all this types of cold cases and I don't want to be left behind on trying to help solve a case. If you have any information on the missing person below contact Fort Lauderdale police or comment on my post. Weight: 115 to 120 lbs. 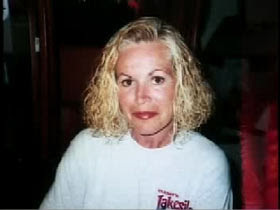 Colleen Wood was reported missing on April 16, 2001 by her son Michael Tandarich. She is originally from Ohio and was last seen in Fort Lauderdale. She was last heard from in late December of 2000.